If you love Marine animals then you will enjoy being on this great excursion. It is the perfect chance for you to relax and enjoy the time of your life. 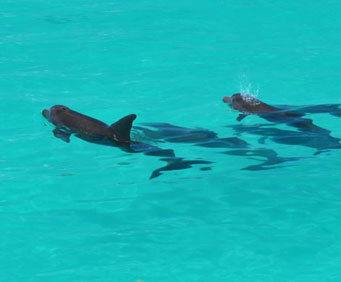 You will get to spend your day snorkeling and play with Dolphins. There are so many things to see and do while you're in the water that you will be able to relax and have the time of your life. This is a great opportunity to bring your friends and family with you on an amazing adventure. This is a short excursion and you will see the friendliest and cutest creatures from the ocean and it is the perfect chance for you to really enjoy the island. You'll be able to go down snorkeling as well. This opportunity enables you to actually get up close and personal with the animals as well as swearing in crystal clear blue water and enjoy the time of your life. It will be a special day for you where you can just relax and kickback as well. You will be able to hop aboard and cruise to the amazing Key West backcountry where Dolphins are swimming and having the time of their lives. This is where you get to see them and lots of other cool creatures that are on the coast and on the island. This will be the perfect excursion for you. You don't even have to worry about missing your boat because we will make sure that you get there on time. So if you are worried you have no need to worry. This is the perfect chance for you to enjoy Key West even if you're only stopping for a few hours. Hop off your cruise ship and onto a boat for a dolphin-watching and snorkeling adventure! This Key West shore excursion will take you to see the ocean's friendliest and cutest inhabitants on a three-hours cruise from Key West - it's a delightful way to spend your time in port. While you're in port in Key West, take advantage of the incredible waters that surround the island on a dolphin-watching and snorkeling shore excursion. Hop aboard and cruise to the beautiful Key West backcountry to see dolphins swimming and playing around in their natural habitat. Then, enjoy some snorkeling in serene shallow waters. Snorkel equipment is included. It's three hours well-spent while your cruise ship is docked in Key West. We will ensure your excursion ends with ample time for you to return to Key West Port for your ship's departure. In the rare event your ship has departed, we will arrange for transportation to the next port-of-call. See our terms and conditions for full details.